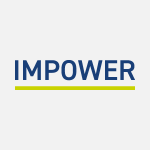 Councils must change dramatically if they are to become consistently demand-focused organisations, a directory of consultancy firm IMPOWER has told local authority chief executives. Speaking at The MJ’s Future Forum conference this afternoon (Thursday 27 March), Jon Ainger argued local authorities could reduce pressure on services by moving away from the traditional model. Mr Ainger said, under new ways of working, councils should look at savings targets across budgets, work to prevent statutory need and focus on having a holistic approach. He suggested it made more sense for money to be spent on cause rather than effect – for example, investing cash in adults rather than children when attempting to reduce the number of family breakdowns. Chief executive of the Local Government Information Unit, Jonathan Carr-West, said councils needed a ‘completely fresh way of thinking’ as they moved to a demand management approach. Mr Ainger said things had been made more difficult for local government by instability, with councils recently changing political control more frequently and the average tenure of chief executives halving in the last 30 years. Asked how confident delegates were at tackling demand collaboratively, Nottinghamshire CC’s corporate director for environment and resources, Tim Gregory, heralded the example of his county’s £1m council-funded multi-agency safeguarding hub. Chief executive of Rotherham MBC, Martin Kimber, raised the issue of cases where one part of the system would have to spend money only for the benefits to accrue to another part, as with the Troubled Families programme.